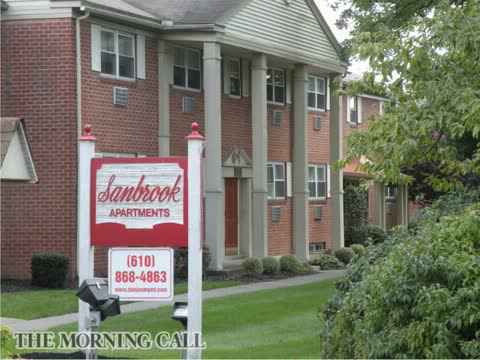 Sanbrook Apartments located in a quiet, country-like setting along a babbling brook in Lower Saucon Township, Bethlehem, PA. Although our community is set off the main roadways, it is just minutes from the major highways and shopping areas across the Lehigh Valley. The Promenade Shoppes of Saucon Valley are just a few miles down the road and the Lehigh Valley Mall is only minutes away. We are located just off Route 378, and are only minutes away from 1-78, Route 22 and Route 309.
family comfortable.full window treatments and air conditioning. We also feature onsite laundry facilities and storage units for each apartment. Sanbrook is managed by DanJon Management Corporation, Inc. DanJon Management has operated residential apartment complexes since 1981. Our mission is to offer high-quality, affordable housing for our tenants. We also strive to be an employer and workplace that attracts and keeps first-rate employees. Most of our knowledgeable staff members have been with our service-oriented company for many years. Our aim is to exceed your expectations. A great testimony to this is evidenced by the large portion of new residents who are referred to us by current and former residents. We invite you to visit location Sanbrook Apartments will be for you, your family or your loved ones. Contact our rental office for more information. Stop by and visit us today and see our affordable, comfortable, and beautifully landscaped community. Or contact our rental office at Sanbrook Apartments in Lower Saucon Township today. Click Here for Cash Back Form.